AFF delegates face up to the issue of financing a sustainable world. 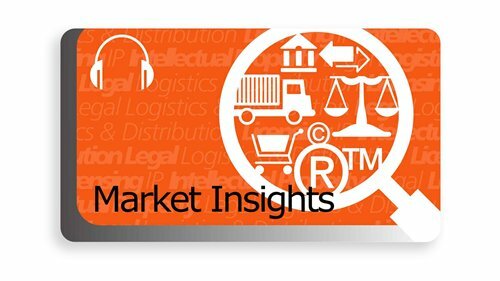 As the financial world contemplates geopolitical tensions and the prospect of technological progress shaking it to its foundations, the global industry is contemplating fundamental restructuring. 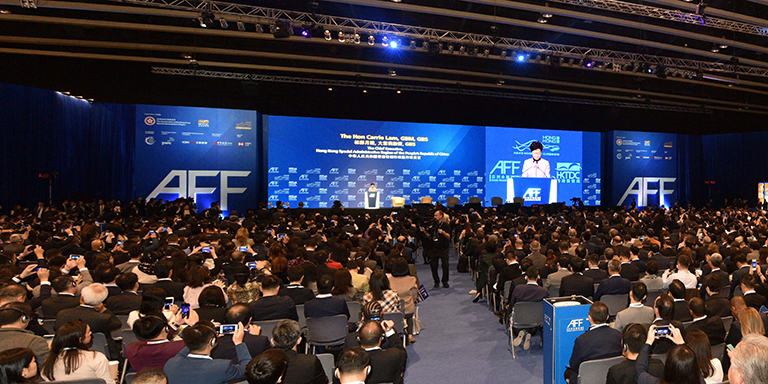 The 2019 Asian Financial Forum (AFF), organised by the Hong Kong Special Administrative Region Government (HKSAR) and the Hong Kong Trade Development Council (HKTDC), gave the financial world an opportunity to start the year with a fresh perspective. Over 3,300 policymakers, business and financial leaders as well as investors from more than 40 countries and regions gathered for the forum, themed “Creating a Sustainable and Inclusive Future”. 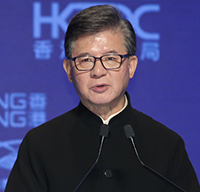 In his welcoming remarks, Vincent HS Lo, Chairman of the HKTDC, said the global economy faces many challenges, including the uncertainty hanging over the United States-China trade negotiations, growing protectionism, populism and geopolitical tensions. He noted there are also deep-seated issues such as the impact of ageing populations and mass migration, the destructive power of climate change and disruption from new technologies. Carrie Lam, Chief Executive of the Hong Kong Special Administrative Region Government HKSAR, also officiated at the opening ceremony. She pointed out that Belt and Road infrastructure will increase demand for project financing and insurance in managing financial, legal, political and regulatory risks. “Hong Kong is well placed to serve as a premier financial and risk-management centre for the Belt and Road’s big-ticket projects. The Hong Kong Monetary Authority’s Infrastructure Financing Facilitation Office brings Belt and Road project owners and investors together. And, just last month, our Insurance Authority launched the Belt and Road Insurance Exchange Facilitation platform. 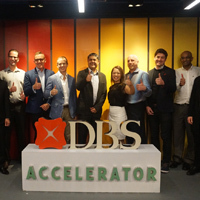 This platform is a clearing house for information and assistance,” Ms Lam said. 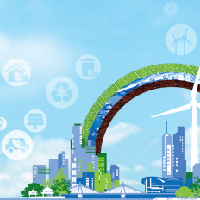 “In keeping with this Forum’s theme, ‘Creating a Sustainable and Inclusive Future’, the Hong Kong SAR Government also places a high priority in developing our economy on a sustainable basis, and on becoming a regional hub for green finance. Our inaugural government green bond will soon be issued. It comes with a borrowing ceiling of HK$100 billion – that’s nearly US$13 billion,” she said. Former World Bank President Robert Zoellick gave the keynote luncheon address on the opening day. Regarding the trade dispute between the United States and China, Mr Zoellick expects “some friction, some accusations and some negotiations”. He said traditionally the US has promoted maintaining the norms, especially in new areas such as services and technology. The concern at present is whether this has changed, and the entire structure is moving on. 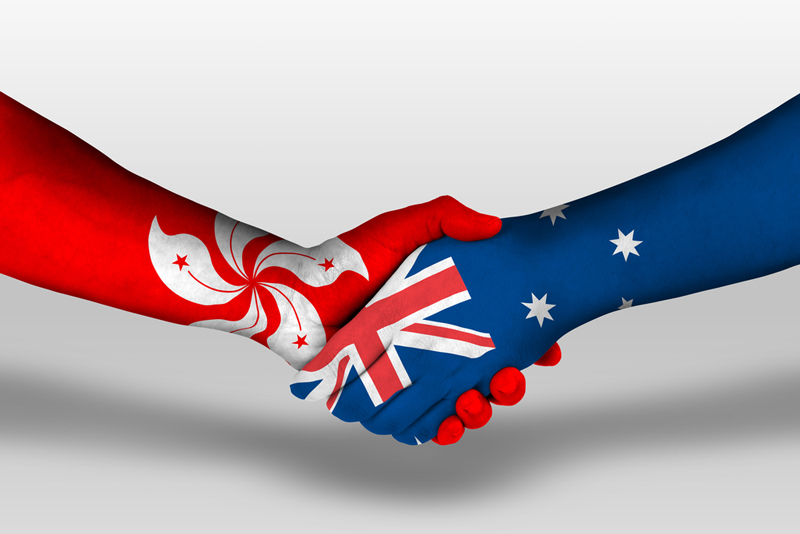 This is of particular concern for smaller economies such as Hong Kong’s, which has established itself as a trading centre under the traditional environment. ““Trade negotiations between the US and China need both short-term results and a long-term process to address deeper concerns. Those issues include intellectual property rights, state-owned enterprises and the Belt and Road Initiative,” Mr Zoellick said at the luncheon. He noted that China had achieved enormous progress in the past 40 years, bringing the greatest reduction in poverty that humanity had seen. But the country now needs to move away from one of export-driven growth to one fuelled by domestic consumption. Many AFF delegates echoed Mr Zoellick’s concern over Sino-US trade friction. 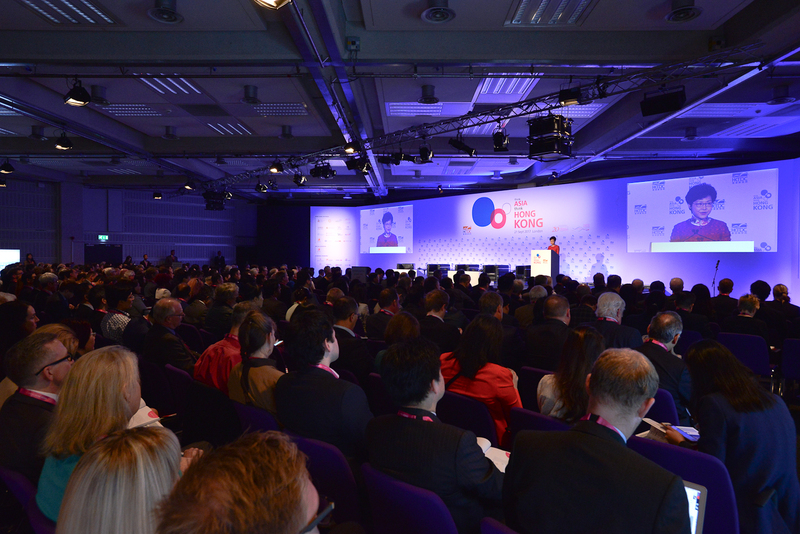 A conference audience poll showed a majority of respondents – 77% – said Sino-US trade tensions are the main source of risk in 2019, followed by monetary policy normalisation (10%), cyber breaches and security risks (7%) and Brexit and fiscal discipline in the European Union (6%). 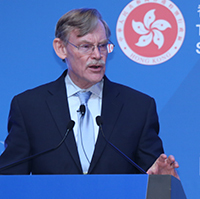 Mr Zoellick added Tthe Guangdong-Hong Kong-Macao Greater Bay Area cluster presented opportunities for Hong Kong but “soft connectivity” – moving capital, information and people – would be a challenge. Watch Mr Zoellick discuss the relationship between China and the US. Another poll asked participants about the biggest challenge to achieving a sustainable future globally. 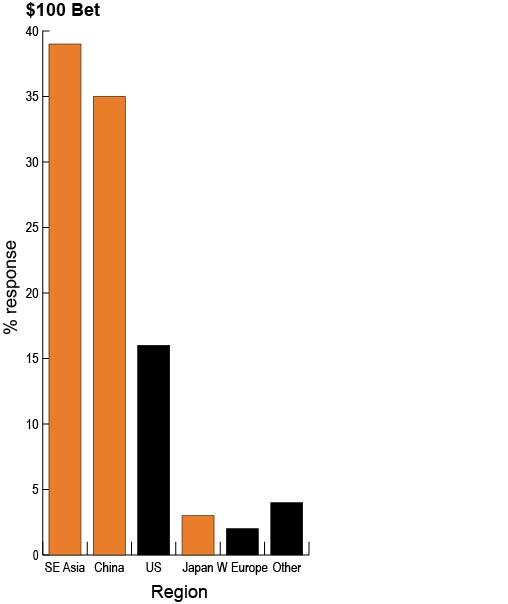 Of the respondents, 43% believed “people’s reluctance to trade higher cost today for better sustainability for future generations” was the key stumbling block, followed by “reluctance by some governments to adopt policies for sustainable development” (23%), “insufficient attention to environmental, social and governance factors in asset markets” (21%), “lack of financially viable green projects” (10%), and “lack of green funding” (3%). 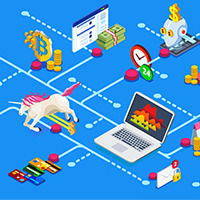 As technology and innovation are beginning to create more disruption in the financial industry, participants were asked which of these developments or technologies were expected to lead to the biggest disruption to the financial industry in 2019, with 30% of respondents expecting it to be artificial intelligence (AI), followed by big data analytics (22%), the rise of virtual banks (21%), blockchain (13%), cryptocurrencies and the rise of initial coin offerings (6%) and regulatory technology (5%). A healthcare provider in Vietnam would be the ideal investment – based on the opinion of the audience and panellists at one of the AFF’s panel sessions. A group of global business leaders from Asia, Europe and the Middle East shared their views on prospects for sustainable investment in a technology-driven world in the Panel Discussion on Global Investment in the New Economy. Panel chairman Victor Fung, Group Chairman of Fung Group, put two questions to the audience after the panellists shared their views. Asked where they would put US$100 should they need to invest, 39% of the audience opted for Southeast Asia, 35% for China, 16% for the US, 3% for Japan, just 2% for Western Europe and 4% for others. 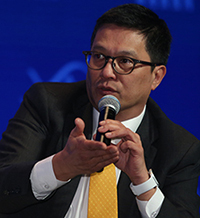 Panel member Raymund Chao – Chairman, Asia Pacific and Greater China, PwC – agreed with the audience’s assessment, choosing Vietnam as the brightest prospect in the favoured region. Turning to sectors, the audience had their bodies in mind and plumped for healthcare as the brightest star, selected by 38%. The long-favoured TMT (technology, media and telecoms) sector came in second with 30% while green industries won votes from 19%. Financial services, home sector of most panel members, drew just 6% of votes, food and agriculture 4% while real estate and infrastructure took just 1%, and 2% favoured other sectors. 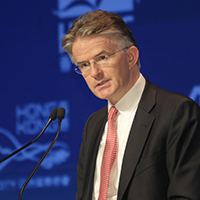 Another panel member – John Flint, Group Chief Executive, HSBC Holdings plc – pointed out that many firms in TMT had notched up extremely high valuations and investors should consider growth prospects. 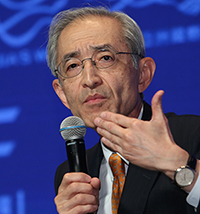 Nobuyuki Hirano – President & Group CEO, Mitsubishi UFJ Financial Group, Inc – said the bank’s fundamental mission had not changed but it was rapidly updating to keep abreast of technological changes. Mitsubishi is developing a hyperscale blockchain-based online payment network which can handle one million payments per second with a latency of less than two seconds. Rapid growth in e-commerce along with the Internet of Things (IoT) and sharing economy drove demand for such capacity. Mr Flint said efforts to fight climate change would create tremendous demand for financial services, with the transition to a low-carbon economy requiring US$6.9 trillion in infrastructure investment. 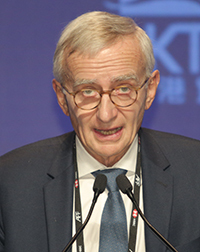 Denis Duverne – Non-Executive Chairman of the Board of Directors, AXA Group – said there was tremendous potential for insurance development in Asia. The region is prone to catastrophes, such as typhoons and earthquakes, but typically 95% of the damage caused by such events is not covered by insurers. 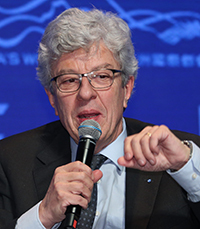 Michel Liès – Chairman of the Board of Directors, Zurich Insurance Group Ltd – pointed out that the ratio of benefit of protective measures, compared with post-catastrophe repairs, for such disasters was five to one. Businesses should concentrate on preventions rather than cures. Mr Chao noted the profound change that had affected global markets in recent years, with former market leaders such as Wal Mart and General Electric showing a relative decline while the current big-three in terms of market capitalisation are all technology companies – Microsoft, Apple and Amazon. 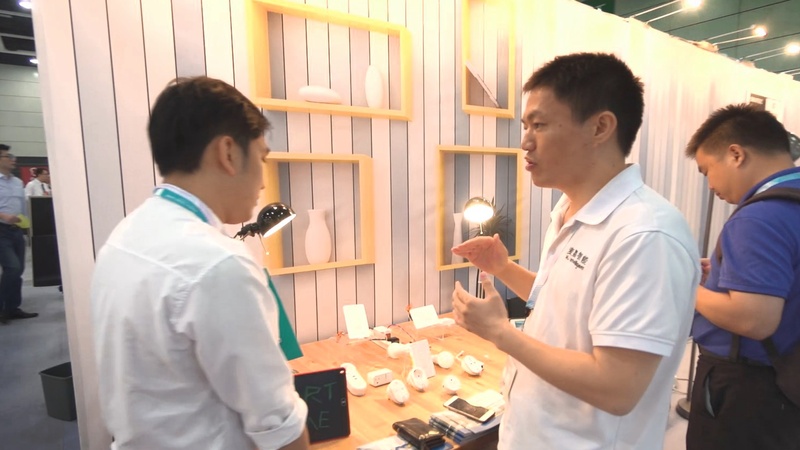 He said businesses would need to become more customer-centric and as a result more collaborative. The change would bring a demand for talent, which in turn would require companies to train and upskill their staff. PWC developed a digital fitness assessment app, initially just for internal use but soon many of their clients adopted it as a way to upskill their staff. Raja Easa Al Gurg, Managing Director of Easa Saleh Al Gurg Group LLC and President of the Dubai Business Women Council, said the rapid growth of digital solutions and introduction of artificial intelligence brought risks as well as opportunities, with cybercrime being among them. Many of the other panellists echoed this sentiment. She said sustainable businesses required sustainable economies, and in future success would be linked to the three P’s – people, planet and profit. Ms Al Gurg said the Middle East had historically been the bridge between East and West along the Silk Road, and was resuming this role under the Belt and Road Initiative.